Like a lot of 9-year-old boys, Zachary Pamboukas has an impish streak. Born without a portion of his right arm below the elbow, the Seattle-area fourth-grader sometimes is asked about his missing arm. Zachary’s playful answer belies an uncomfortable truth: It’s not easy to go without a limb. Besides the physical limitation, experts say that children missing a limb can experience lasting psycho-social effects that can shape the course of their lives. 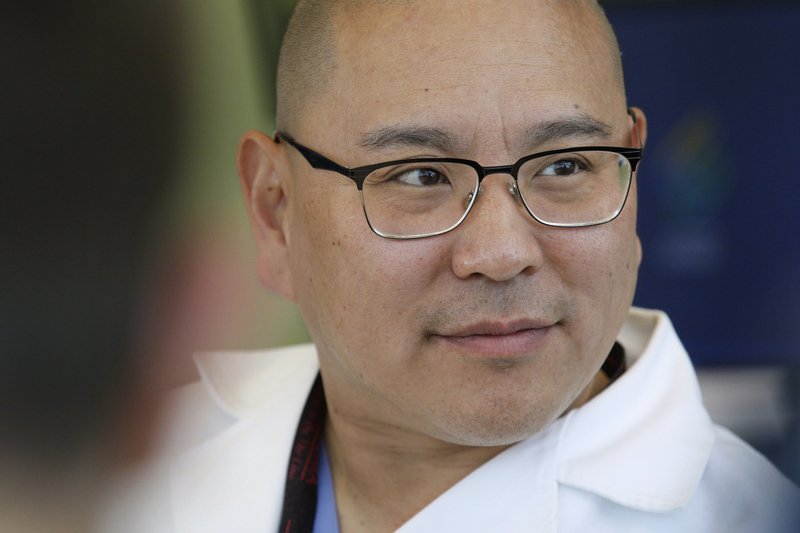 “Many times these children have some social stigma and they’re embarrassed of their affected limbs,” said Albert Chi, M.D., an associate professor of surgery in the OHSU School of Medicine. Limbitless Solutions, the nonprofit organization based at the University of Central Florida, is ramping up the “cool” factor for kids with congenital limb loss. 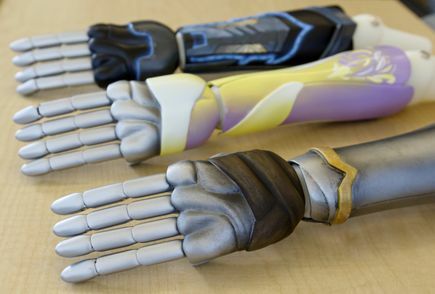 The organization, founded by students at UCF, produces custom-made prosthetics using 3D printing technology. They’ve built and distributed prototype myoelectric – or bionic – arms designed to match a child’s unique interests. Zachary, a fan of Spider Man, sports a web-themed forearm. 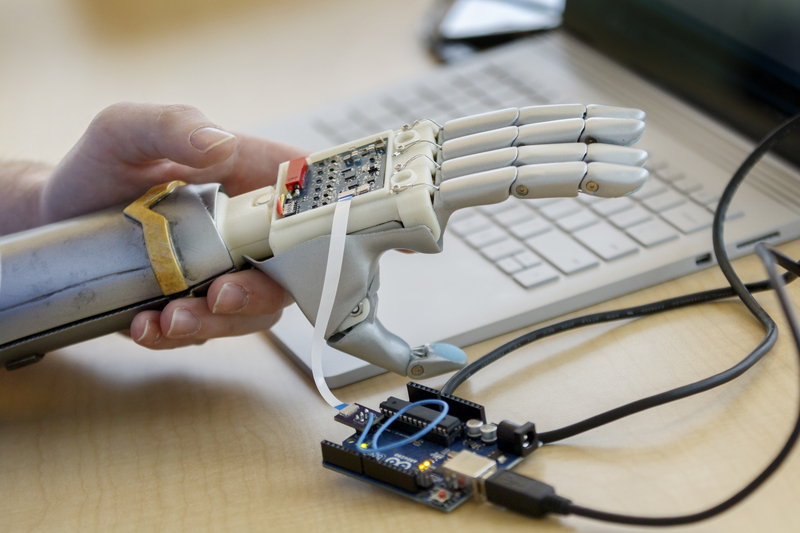 A newly announced clinical trial aims to test the functionality of a more-advanced version of the arm, gauge the effect on quality of life, and determine how children are using the arm for specialized tasks. Experts who have worked with Zachary and other kids who have received prototypes say they’ve already noticed a major difference in attitude. 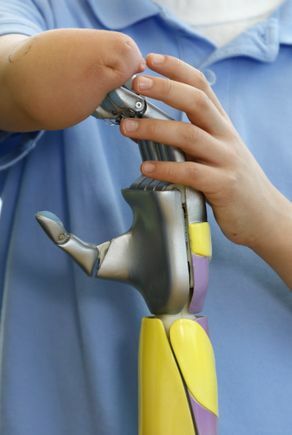 Advanced prosthetics have been challenging for children because of their relatively high cost and the fact that children quickly outgrow them. Advancements in 3D printing technology change that dynamic, providing an opportunity to easily replace prosthetics as children grow and their tastes change; Zachary is already interested in updating his arm to Iron Spider, a comic book spinoff character. 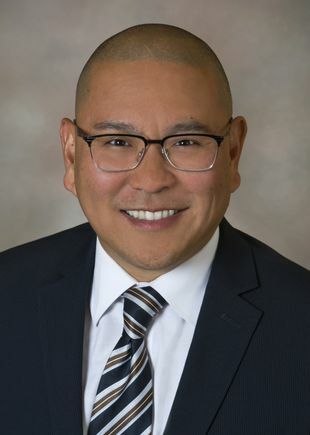 The U.S. Centers for Disease Control and Prevention estimates 4 in 10,000 kids are born with a congenital upper limb deficiency, in addition to people who lose limbs through accidents or disease such as cancer. Zachary wears his prototype three or four times a week, helping him to hold down paper for school work and to grip the handle on his bike. 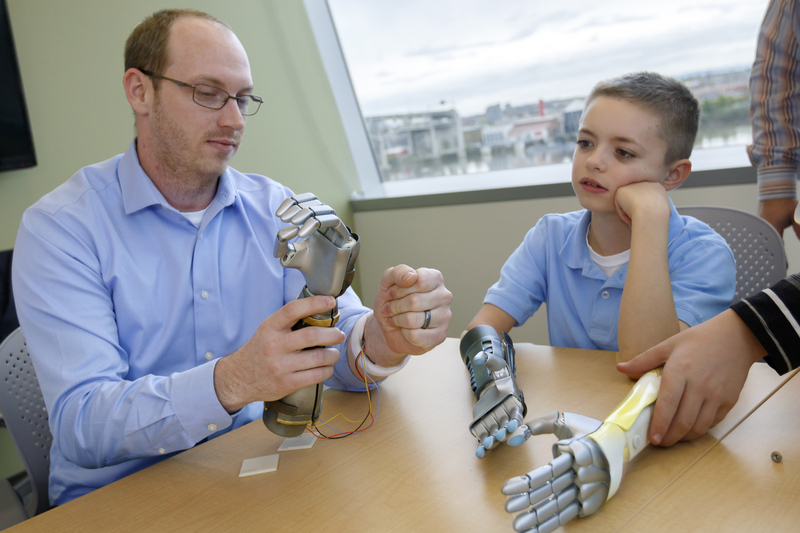 A new U.S. clinical trial will test bionic arms for children produced on 3D printers. The trial is a partnership between OHSU and a nonprofit based at the University of Central Florida in Orlando, Limbitless Solutions. John Sparkman, vice president and director of research and development for Limbitless Solutions, (left) shows Zachary Pamboukas, 9, and his father Niko (right) the new prototype myoelectric arm designed by Limbitless Solutions, a nonprofit organization based at the University of Central Florida. Zachary has been utilizing a previous model designed by Limbitless. Limbitless has joined with OHSU to lead the first U.S. clinical trial testing 3D printer produced prosthetics for children with congenital limb differences, like Zachary. 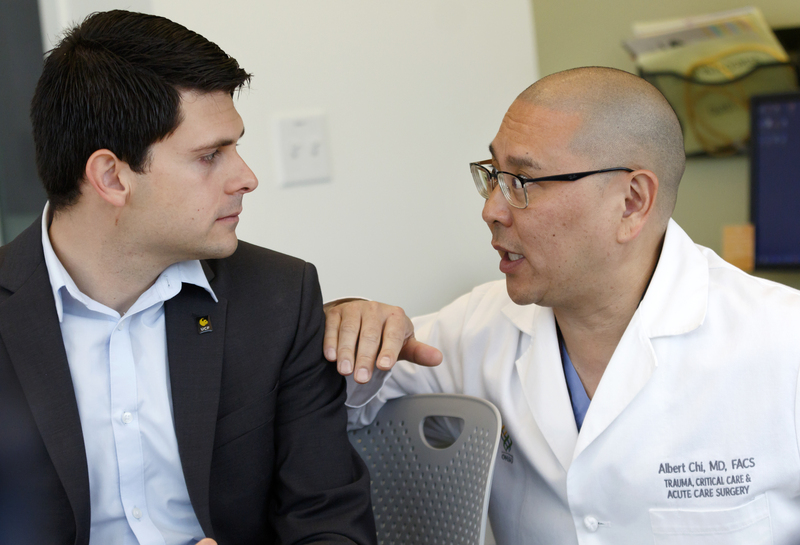 The trial is a partnership between OHSU and a nonprofit based at the University of Central Florida in Orlando, Limbitless Solutions. John Sparkman, vice president and director of research and development for Limbitless Solutions, (left) shows Zachary Pamboukas, 9, the new prototype myoelectric arm designed by Limbitless Solutions, a nonprofit organization based at the University of Central Florida. Zachary has been utilizing a previous model designed by Limbitless. Limbitless has joined with OHSU to lead the first U.S. clinical trial testing 3D printer produced prosthetics for children with congenital limb differences, like Zachary. The trial is a partnership between OHSU and a nonprofit based at the University of Central Florida in Orlando, Limbitless Solutions. Zachary Pamboukas, 9, looks over the new prototype myoelectric arm, designed by Limbitless Solutions. 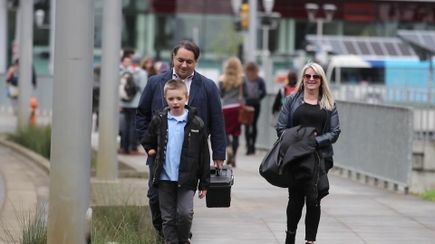 Zachary has been utilizing a previous model designed by the nonprofit, which has joined with OHSU to lead the first U.S. clinical trial testing 3D printer produced prosthetics for children. The trial is a partnership between OHSU and Limbitless, which is based at the University of Central Florida in Orlando. Zachary Pamboukas, 9, and his family check out a new prototype myoelectric arm designed by Limbitless Solutions, a nonprofit organization based at the University of Central Florida. Zachary has been utilizing a previous model designed by Limbitless. 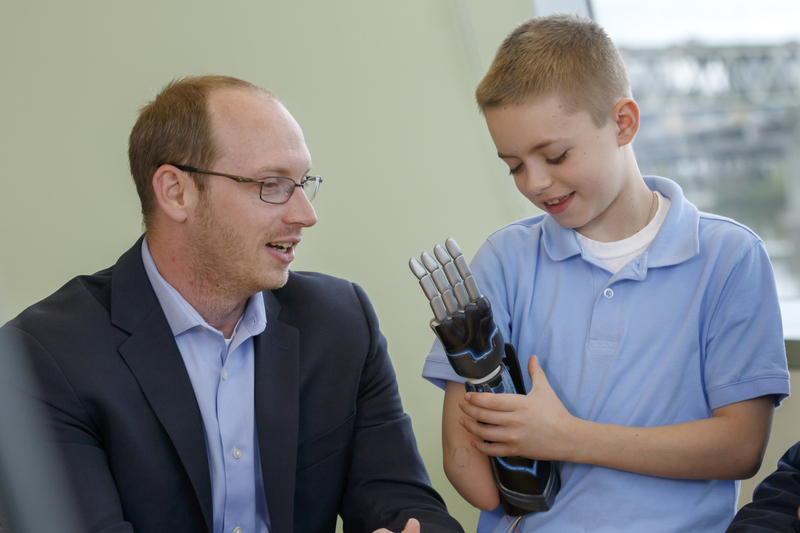 Limbitless has joined with OHSU to lead the first U.S. clinical trial testing 3D printer produced prosthetics for children. The trial is a partnership between OHSU and a nonprofit based at the University of Central Florida in Orlando, Limbitless Solutions. Albert Manero, Ph.D., CEO and co-founder of Limbitless Solutions talks with Albert Chi, M.D., associate professor of surgery in the OHSU School of Medicine. The pair are leading a new U.S. clinical trial to test bionic arms for children produced on 3D printers. The trial is a partnership between OHSU and a nonprofit based at the University of Central Florida in Orlando, Limbitless Solutions. 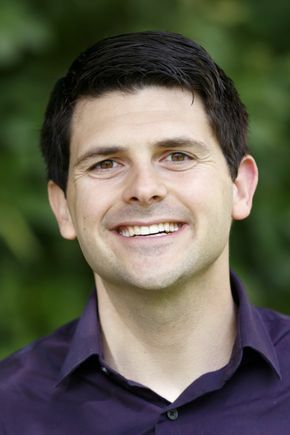 Albert Manero, Ph.D., CEO and co-founder of Limbitless Solutions.